Many tourists arrive in Prague with tickets in hand for Vienna and Budapest and a checklist of worthy attractions (Hradčany, Charles Bridge, Old Town and Wenceslas Squares). Maybe they take a day to visit the spectacular castle and town of Český Krumlov, but by day 3 or 4 they are off to their next destination. A nice vacation, another item off the bucket list. A nearly guaranteed return on investment, that’s the ideal. Most people tell us, they didn’t give themselves enough time in Prague, and the day- visit to Český Krumlov tantalized more than it satisfied. On a map, the countries look so small before you arrive, and then you find a landscape filled with stories and many different pathways bending towards the horizon. 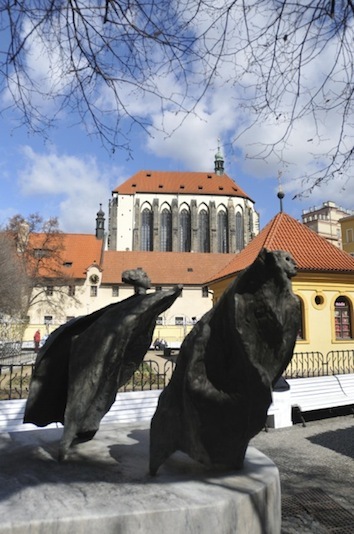 Suddenly, there’s more to Central Europe than the Charles Bridge and Maria-Theriesien Platz. With this in mind, we suggest concentrating the limited time available on one country, or perhaps even one region. 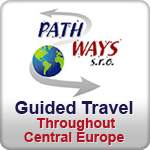 We can show you the Czech Republic, Slovakia, Poland, Austria or Hungary. Maybe even Germany. But we really mean “show you” - taking you to places well beyond the t-shirt vendors. Imagine castle ruins on wooded trails and locals being themselves, each according to their own customs. Travel according to wish, not according to script. To illustrate, below are two examples of what can happen when travelers decide to “slow down”, and concentrate on the surrounding culture. These both involved prolonged time in the wine regions, this was a coincidence. Both happen to involve people, and that is not a coincidence! These people informed us what it was that interested them. Given enough time and a clear topic of interest, two truly remarkable experiences followed. Znojmo has a recorded history nearly 1000 years old, and one of the most important pieces of medieval art in the country. It’s a bit out of the way from Prague, and a Znojemak probably likes it that way; it keeps their city calmer. Austria is only 20kms away, and Znojmo’s relation with it is long and currently friendly, the local hockey team even competes in the Austrian league instead of the Czech Extraliga. My colleague recently guided a couple through the area. Upon their arrival at their pension, the host greeted them with a pork-loin that had been especially smoked for them. Even for a well-heeled traveler, someone quite familiar with the Czech landscape, this stop impressed, and this was before the tasting at a cellar belonging to the 2014 Czech Small Winery of the year. 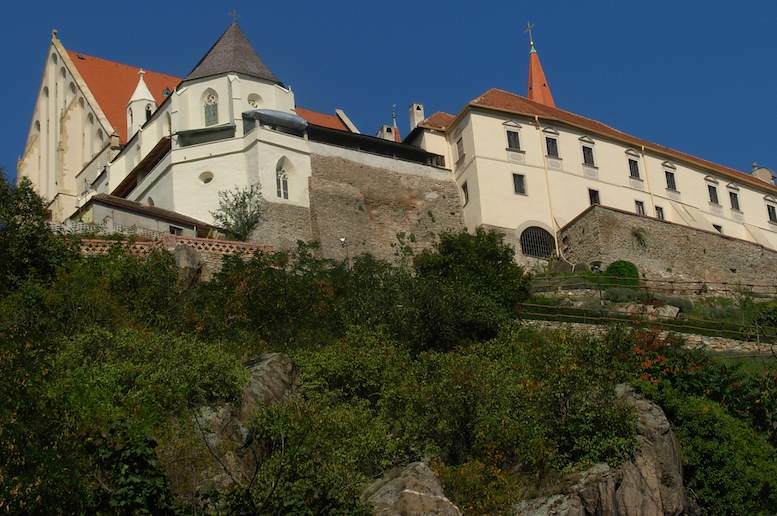 The next surprise was a steep launch up a precipitous road into the old part of Znojmo’s center, a collection of architecture from the 11th century ecclesiastic. From there they wandered on foot into the 20 th century with its Communist functionalism. The last wish for desert would have otherwise been difficult to satisfy, in an unfamiliar town, without someone familiar with the client as well as the town. After all, although already informed by a respected guide book, the client was pleasantly shocked at the beauty of this town, far beyond the too brief descriptions. Her delight was also our delight, as it was the result of her trust in our suggestions and the time she allowed. Similarly, there was the great priviledge to guide a returning client for a second family history trip. This time to explore their heritage in the Alsace, a Germanic region in eastern France. On a sunny, cool Autumn morning, I arrived in Beinheim with three passengers to explore the village of their ancestors. A visit to the Mayor’s office yielded original birth records back to the 1700s; we explored the well-kept streets; the clients were very happy. I might have whisked them away to the beautiful tourist town of Baden-Baden, but instead I suggested we drive a little farther into the Alsace to visit a winery. The flat alluvial plains next to the Rhine ripple upwards toward the northern Vosges mountains; we navigated small roads occupied by tractors, a few other cars and absolutely no tour buses. Cleebourg, our destination, is only a few houses. It’s only winery, a cooperative among the vines, was closed for lunch. C'est la vie! Approaching our idling car, a farmer in a green sports coat and trousers spoke to us in the rich, round, and warm accent of the countryside. He briefly described the village, explaining how most of the grapes went to Germany a few kilometers away, how nobody had the time to raise crops and animals and make a small amount of wine for themselves. From this conversation, our mission was changed. As if that man had been some sort of gatekeeper, we found ourselves not among some small collection of houses, but instead at the entrance of a long avenue of half-timbered homes. We parked the car and began to stroll with our mouths agape. Houses and courtyards from the mid-18th century squeezed up next to each other, kept in stunning condition for the inhabitants’ pleasure, not that of tourists. The magic of this day continued, a violin maker invited us into his house to listen to one of his creations; we discovered a village restaurant with a delicious 2-course lunch menu for 9 euros. Across the border we bought wine from one of the top producers in Germany, Friedrich Becker; upon returning to France we happened upon a 13th century church, Sts. Peter and Paul, that still contained much of its medieval frescos. We drove past the time worn chateau where a king of Poland lived for 9 years. This experience was exceptional and a bit surreal. Arriving later at the beautiful tourist town of Baden-Baden, it was as expected… a beautiful tourist town – a product designed for the aforementioned investment – guaranteed to satisfy, but without the local magic. Some travelers require the guaranteed product, and while slowing down doesn’t guarantee the experience of a lifetime, it makes it possible to meet real people. Instead of walking in the parade of foreign visitors, like a visit to the zoo, it is possible to partake in the daily ritual of a town, or region. An intentional “slow” tour lifts a tourist’s eyes up off the page, into the eyes of other people, the most exciting traveling experience there is.